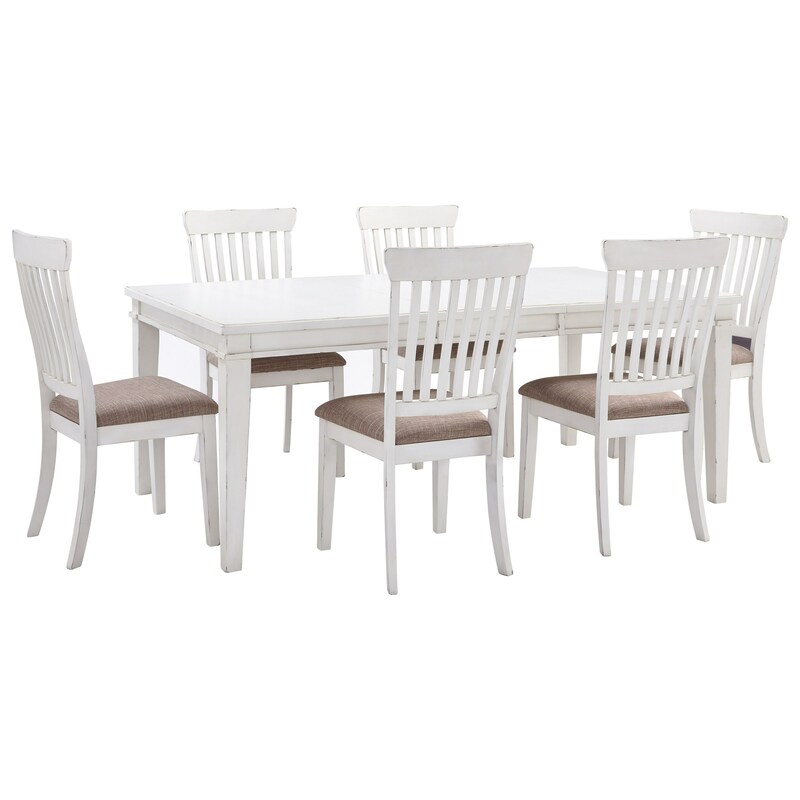 Perfect for a dining room with limited space, this seven-piece table and chair set gives you the ability to host more guests when needed, without taking up too much space on a day-to-day basis. Modestly designed with just the right amount of charm, the table boasts a chipped white finish that gives it its distinct cottage feel. The coordinating slat-back side chairs offer both cottage charm and comfort with their matching chipped white finish and upholstered seat cushions. The Danbeck 7-Piece Rectangular Table Set by Signature Design by Ashley at Miskelly Furniture in the Jackson, Pearl, Madison, Ridgeland, Flowood Mississippi area. Product availability may vary. Contact us for the most current availability on this product. The Danbeck collection is a great option if you are looking for Casual Cottage furniture in the Jackson, Pearl, Madison, Ridgeland, Flowood Mississippi area. Browse other items in the Danbeck collection from Miskelly Furniture in the Jackson, Pearl, Madison, Ridgeland, Flowood Mississippi area.